Gill Evans joined Wirral Sensory Services in 2010. 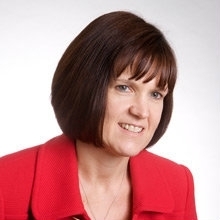 Gill previously worked for Lloyds Banking Group in an analytical role. Gill manages a range of different consumer projects and is a key member of the sensory team. Gill has been instrumental in developing software applications to support the business. She has implemented our testing software into WSS procedures and has created a bespoke sensory application to add significant value to our sensory analysis.